Small businesses may not seem like an ideal target for criminals looking to make big bucks. However, since large corporations understand that they are at risk for an attack, many companies invest in a good cybersecurity plan. Unfortunately, this leaves the smaller businesses wide open for hackers who are looking to go after an easy target, and for small businesses, a cyber attack can be devastating. Small businesses have a hard time keeping up in a world where technology is ever-changing, including ways that hackers are infiltrating vulnerable networks. They may take advantage of a bug in a company’s system or an employee who is careless on their device. Some small businesses have IT personnel but they aren’t able to handle the daunting task of keeping up with all the computer questions and concerns the employees and customers have, plus make sure the company’s data is secure. Some companies see investing in cybersecurity as a waste for something that will never happen. 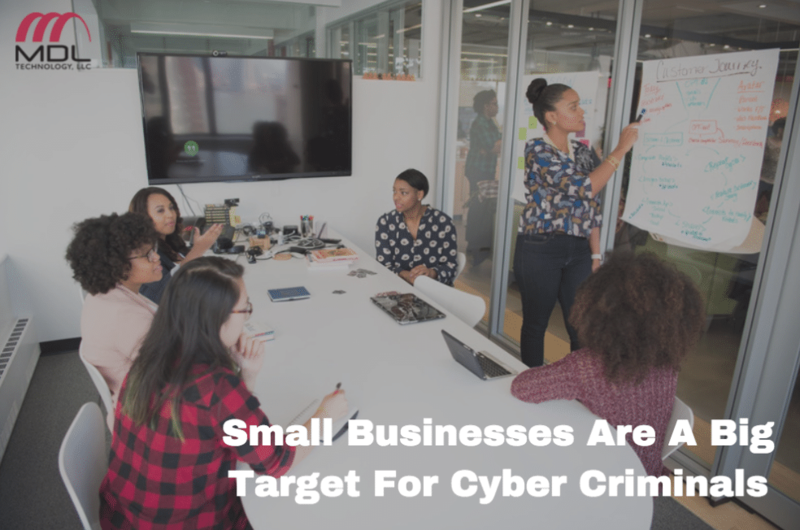 However, according to the Idaho State Journal, new data from the National Cyber Security Alliance indicates that 70 percent of all attacks have been directed at small businesses. Not only are small businesses targeted at a higher rate, but the attacks also affect their business more. The same set of data from the National Cyber Security Alliance found that as much as 60 percent of small businesses who experience an attack close their doors for business within six months. The money spent on looking into a company’s risk is worth the investment. For those who want to look into their cybersecurity risk, the first step is to get a risk assessment, explained Chief Information Security Officer of BrainTrace Dean Sapp. The second step would be to follow through with the results, which he says many companies do not do. While being aware of the issues is a good start, it will not fix a company’s vulnerability to attacks. For a good set of guidelines for cybersecurity, Director of Strategic Sales for Cytellix Spencer Cobb, recommends that companies look to the National Institute of Standards and Technology’s cybersecurity framework. Those who truly want to prevent an attack can look into options like backing up data in a secure off-site location and establishing a dedicated team to monitor vulnerabilities and fix any holes in the system. To learn more about cybersecurity, check out MDL Technology’s website.